On June 23rd, 2016, The Tilbury Riverside Project and the Essex Diversity Project held an event at the Tilbury Arts and Activities Centre to mark the anniversary of the arrival of the Empire Windrush. 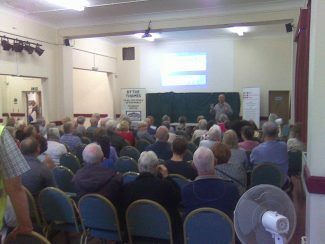 In addition to the Tilbury and Chadwell Memories project, participants included the Essex Record Office and Coalhouse Fort. There were tours of the Riverside Station booking hall and the opportunity to visit the Thurrock heritage plaque to the Windrush. Jonathan Catton gave a talk based on the Thurrock borough motto – By the Thames to all the peoples of the world. We were then treated to a jerk chicken lunch.